Knowledge is necessary, but not sufficient. The well educated person is a well developed person who knows how to live a healthy life in every aspect of human existence– a well developed personality. The Montessori system is the brainchild of Dr. Maria Montessori, an Italian pioneer in the field of pre-school education. She emphasised the significance of the period when a child is in the age bracket of 3-6 years of age, describing such a child’s mind as the ‘Absorbent Mind’- modern educational research has verified her claims that it is in this period that a child develops nearly 60% of her personality and intelligence through sensorial absorption of her environment. Parents today understand that holistic development- not just academic excellence- is the fundamental prerequisite for a successful life. Dr. Montessori was a believer in the inherent natural ability of every child to achieve their individual levels of growth by themselves, if provided with the support to fulfil their developmental needs. A trained Montessori teacher walks a tightrope between providing a liberal yet disciplined environment for her student’s maximal development in harmony with her individual capabilities. Controlled and constructive observation ensures that the child’s inner urges are effectively translated into constant growth through meaningful activities. A Montessori school is equipped with more than 100 kinds of unique apparatus designed to cultivate the learning powers of children through independent and focussed use. Montessori Apparatus comprising of Sensorial Material, Language Material and Arithmetic Material among others are attractive and engaging. These enable the child to objectively and independently assess her performance as she explores her physical environment though touch, sight, smell, sounds and taste. Maria Montessori was born on August 31 in Chiaravalle, Italy. She attended a boys’ school in Rome, with a science/engineering emphasis. She became the first woman to obtain a Doctor of Medicine degree from the University of Rome. She studied the writings of French doctors Itard and Séguin, who worked with disabled children, and reads all major works in educational philosophy over the past 200 years. She was appointed director of the Orthophrenic School, a model school for training teachers of children with developmental disabilities, where she experimented with materials to stimulate the senses and succeeded in fostering the development of some of the children to such an extent that they achieve the same results on state exams as typically developing schoolchildren. She began a second degree in education, experimental psychology, and anthropology at the University of Rome and conducted anthropological research in elementary schools. She conducted the first training course in her method to about 100 students in Città di Castello. Her first book, Il Metodo della Pedagogia Scientifica applicato all’educazione infantile nelle Case dei Bambini, was translated into over 20 languages. 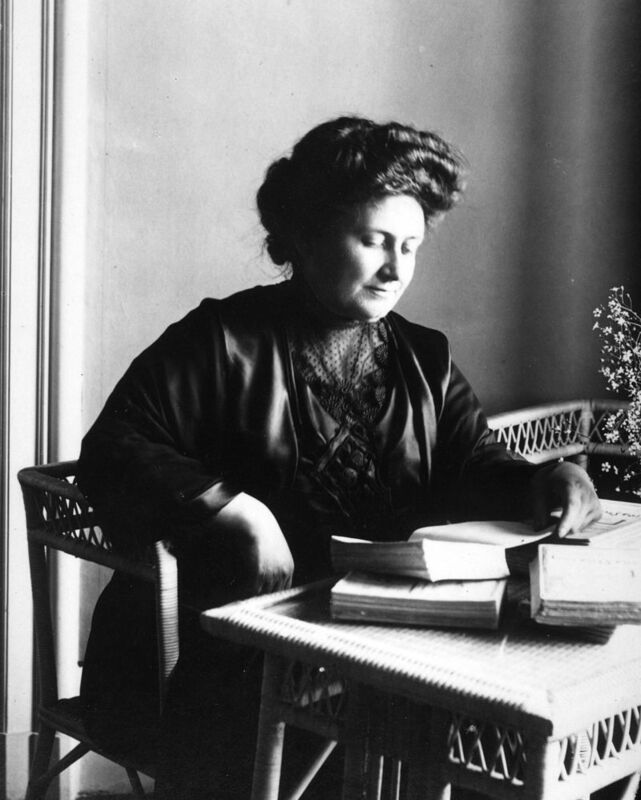 The English edition, titled The Montessori Method, appeared in the U.S. in 1912 in an edition of 5,000 as sold out within a few days, securing second place on the year’s list of nonfiction bestsellers. She further developed the principles of Montessori education for secondary schools. She set up a training centre with model school in Laren, near Amsterdam (her new home). At this time there were over 200 Montessori schools in the Netherlands. She achieved her first nomination for the Nobel Peace Prize (again in 1950 and 1951) and her last major work: Formazione dell’uomo (in English, The Formation of Man, Adyar 1955) was published.